If you’re obsessed with music and great home cinema, you know the value of good sound. There’s no point in having the setup, but then when the moment comes, the audio lets you down because your equipment is not the right quality. Is this you right now? Are you yearning for powerful, full-range sound? Was that a definitive yes? Definitive Technology is uncompromising in delivering flawless and pure audio. They believe in giving sound nothing less than it deserves. They like to think of themselves as “what obsession sounds like”. It’s a very healthy obsession over at Definitive Technology though, which comes with a high level of intelligence to create products and components that are as pleasing to the eye as they are to the ear. Everything is sharp and precise, so that the sound you hear is just as clean as the look you demand. 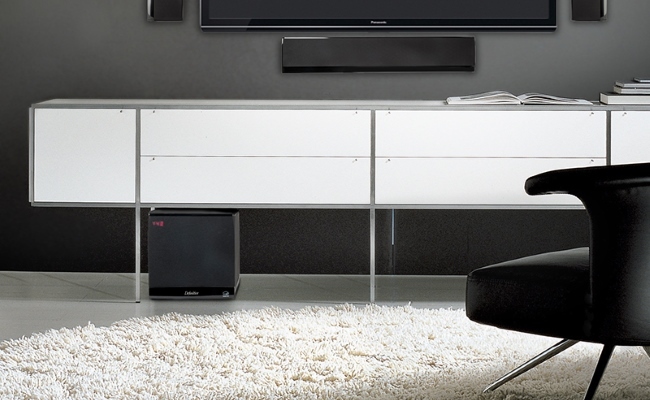 Home cinema and audio components aren’t just devices we have in our homes to create sound. They are part of our décor and our personal style, and they make a statement. Definitive Technology is next-gen audio integration backed by forward-thinking research and implementation. Prepare to be inspired by your audio choices from Definitive Technology, every time you listen to your favourite tunes. Their approach to speakers is unique. They use the most advanced materials and refine these to perfection. They treat speakers like pieces of artistic technology and design that are made to be revered. Isn’t that what we all want out of our home cinema and audio experiences? Something to be revered; the hallowed ground of our entertainment enjoyment. Wherever your need for perfect sound leads you, having Definitive Technology in your home is a smart choice. They’ve got audio covered from every angle (and then some) – home audio, wireless home audio, soundbars, architectural audio, outdoor sound, headphones, surround sound, hi-fi music listening, streaming music in every room, and home cinema at its best. Gone are the days of unsightly audio equipment. Definitive Technology believes in enriching your home with far more than tangible speakers, amplifiers, and subwoofers designed to match your décor. The real beauty of your home will lie in what is produced from these pieces of equipment. Be the envy of your neighbourhood with astonishingly high-performance and captivatingly minimalistic architectural audio pieces that blend perfectly into your home. Choose from multiple custom-install models and build your dream home audio system into your walls or ceiling. And, who said you need to keep your audio indoors? Take it onto the patio, deck, or into the garden with discreet, beautiful outdoor speakers from Definitive Technology. Let us introduce you to what sound obsession is. This entry was posted in Definitive Technology. Bookmark the permalink.